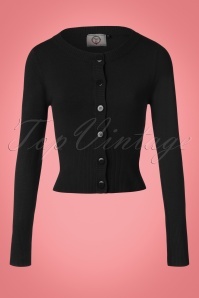 This 50s Ophelia Pencil Dress in Black has stolen our hearts! Ophelia shows off your curves in a perfect way ;-) This amazing fitted wiggle dress features a sweetheart neckline with a large, velvet heart and flattering 1/2 sleeves. The velvet belt accentuates your waist, creating a super feminine silhouette. Made of a sturdy but stretchy, black bengaline fabric that hugs your curves without marking any problem areas. Perfect for a date with that handsome guy or cocktail night with the girls!